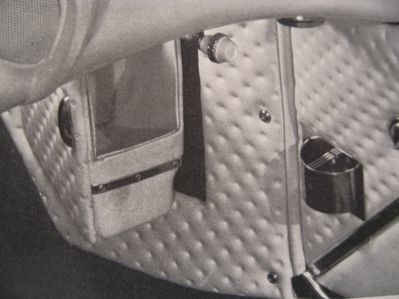 picture from the 1953/54 gm archives of the glove box door in an open position. i will post a current picture so you can compare. notice the neat ashtray that swivels away to hide. i will post a current picture of the ashtray so you can compare.